When I wrote the original collection of Funny Awards in 2008, it had an obvious office slant. This largely came from my own experience working in an office environment. Whether it’s a corporate office, church office, or manufacturing plant office, there are certain situations and references that are unique to office culture. 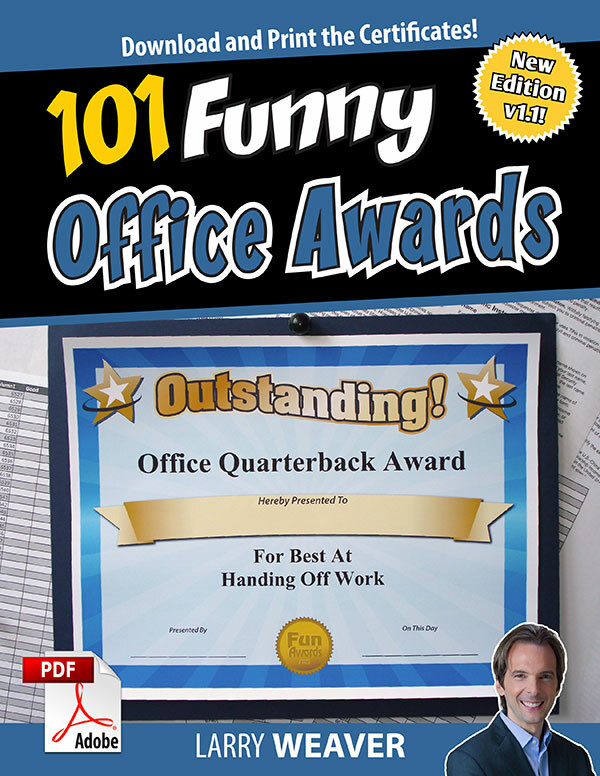 From cubicles to computers, meetings, break rooms, desks, office gossip — 101 Funny Office Awards covers it all. 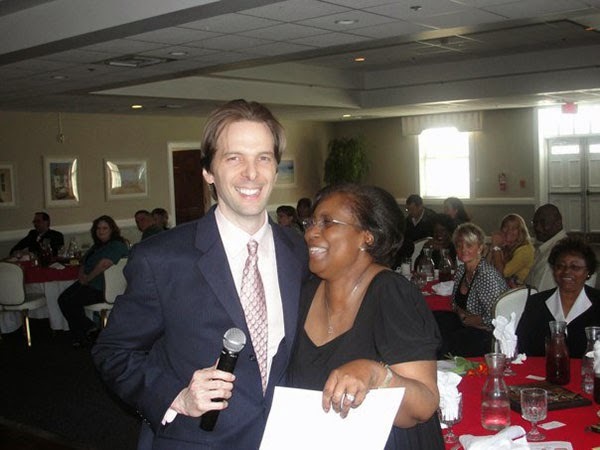 I find the best source of awards inspiration comes from performing at company office parties. I hear the same things everywhere – the coffeepot is always empty, Internet surfing is restricted, and the office temperature is too hot (or too cold). Sound familiar? Managers want to show employees that they are fun and have a sense of humor. Unfortunately, their attempts at humor often border on inappropriate or offensive. 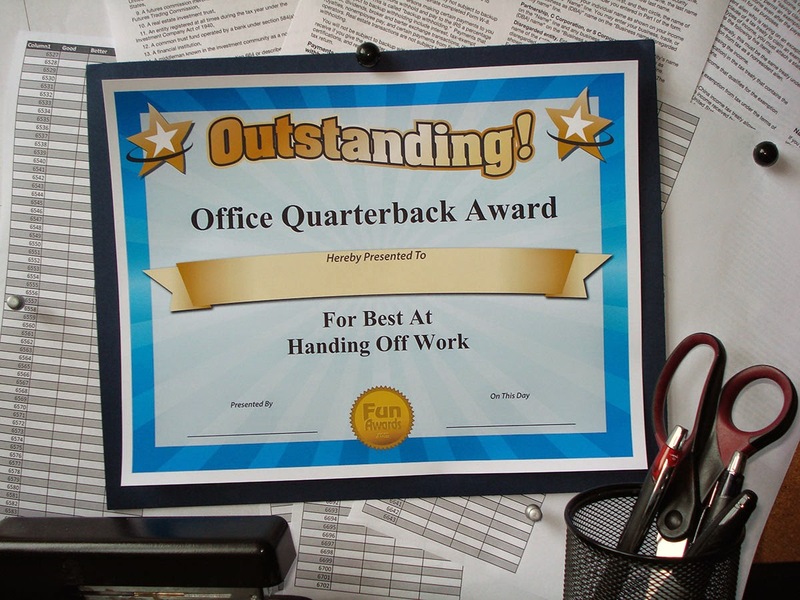 If you’re trying to come up with your own office awards, don’t worry. I've done the work for you. I am serious about customer satisfaction. Every purchase comes with my cell phone number. If you have any issues, I’m here to help.